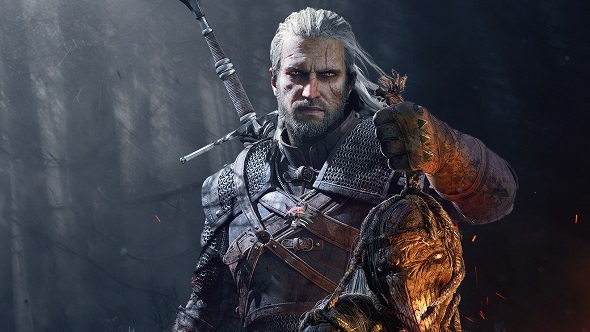 Casting should begin “soon” for Netflix’s serialized adaptation of The Witcher, and showrunner Lauren Schmidt Hissrich says she’s taking special precautions to keep story spoilers from making their way online. The Witcher series is set to debut with eight episodes sometime in 2020, and since its announcement, Hissrich has kept fans up to date on the pre-production process via Twitter. Friday night, she tweeted a picture of a fanned stack of scripts, one for Geralt, one for Yennefer, and one for Jaskier – a character English-speaking players may know better as Dandelion. While you wait for new adventures for Geralt and friends, check out our list of the best RPGs available on PC. Hissrich explained that during casting, actors will usually audition by reading their character’s lines directly from the pilot episode script. The upshot of this approach is that while audition scripts and tapes may well leak during the casting process, the core story told in The Witcher’s TV adaptation will remain unspoiled. It’s Friday night in LA, and it’s been a seriously great week here at #Witcher. That does mean more work for The Witcher’s writing team, which we know includes veterans from Jessica Jones, Daredevil, and The Originals. “And hells yes, his name is Jaskier,” Hissrich said, concluding her Twitter thread. Primary filming will take place in Eastern Europe.